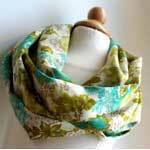 Scarves are pretty easy to make and we have plenty of free scarf patterns below to choose from. 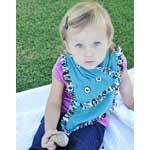 Neck scarves immediately add bling to a plain blouse or sweater and sew up quickly. Pick between winter or dress-up scarves, grab your sewing machine and start sewing. 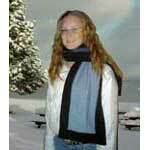 If you are looking for a fleece scarf, try our pages with fleece patterns and no sew fleece patterns. 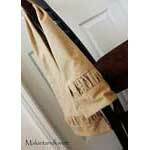 This beautiful and romantic scarf was made using using bed linen, vinegar, a pack of tea and more.. see how. 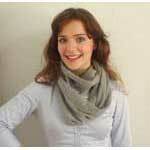 For children or adults this sweet scarf is extremely simple to create and can make a plain top come alive. 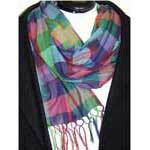 This lovely linen scarf with bright colored print is perfect for adding to your spring and summer wardrobe. 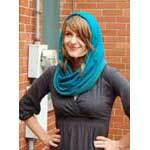 Keep your neck and head warm by sewing a cool looking hooded scarf using this scarf pattern. Just by cutting off the top portion of a few socks and sewing them together you can create a unique and whimsical scarf. 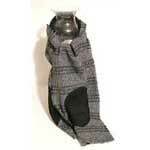 Fleece is naturally warm and soft, so therefore it makes a excellent scarf for cold winter days. Create a scarf for just pennies with this simple scarf pattern that will have you making a lovely scarf out of an old sweater. Sew this beautiful flannel scarf with sewn in strips of gathered fabric that give the scarf a more elegant flare. Easily make this very feminine shabby chic scarf just by sewing lace trimmings together as instructed in this pattern. 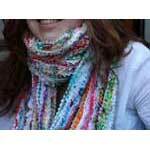 Sew a great looking scrunch scarf using jersey knit fabric and this easy to follow scarf pattern. 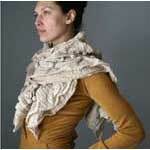 Create a scarf out of linen, cotton or sear sucker that has an abundance of ruffles using this sewing tutorial. 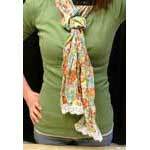 You can take one of your soft summer tops with spaghetti straps and turn it into a pretty summer scarf. 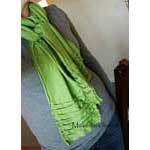 Follow this scarf pattern and create one or several scarfs in your favorite colors and prints. You can easily turn a plain outfit into something far more stylish by adding a lovely wrap around scarf you made yourself. Here you will find two patterns for a more masculine styled scarf, one is made of leather and the other soft suede. 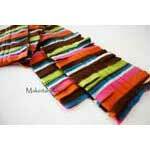 It doesn't take long to make a warm and attrative scarf when the scarf is made out of soft and durable fleece fabric. This scarf pattern will help you make use of all your fabric scraps when sewing this attractive and colorful winter scarf. 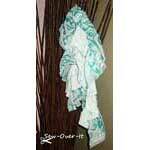 Once made this long scarf can be draped around the neck in all sorts of flattering ways.